Our next stop after Morehead City, NC was Charleston, SC for the night and half a day of sightseeing and dining. It was well worth the time spent and in the future we may take some family members there for a longer stay to experience what Charleston plus Savannah, GA to the south a ways has to offer. Our next stop was Jensen Beach, FL where we visited my long term friend Capt. Jimmy Callahan from Strathmere, NJ who now lives full time in Jensen Beach, FL. We hung out in a local bar and watched both playoff games with a predominately Philadelphia fan base, although, like everywhere in Florida, there were people from everywhere including a few from Seattle, WA which shocked me! Great time and the type of afternoon Diana and I have not had in a few years. We spent part of the second day looking at real estate as we are looking to buy a house in the Stuart, FL area hopefully in the near future. We have a local realtor that my friend Jimmy knows well in Jensen Beach lined up to show us some properties on our way back from the Keys in a few weeks. 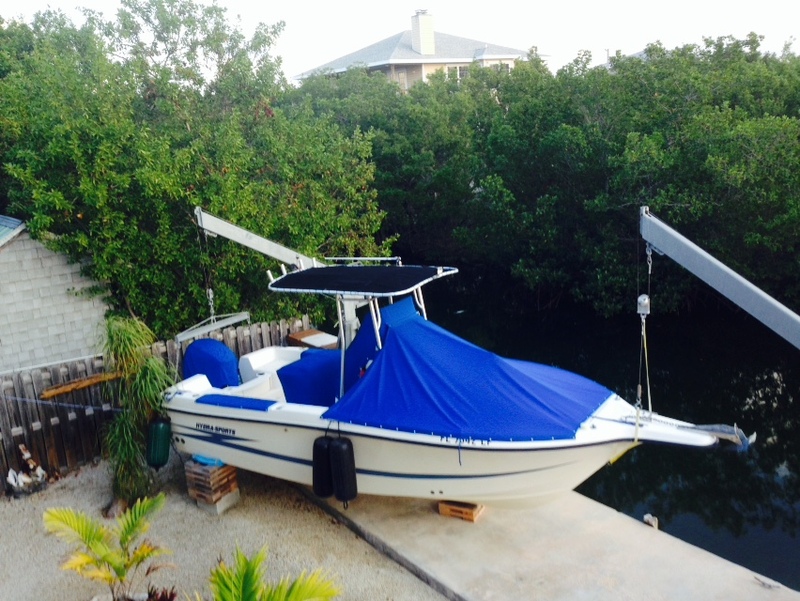 The other location that interests us is the Florida Keys down below Big Pine Key. We are using this trip to determine what works best for us. We left Jensen Beach and drove down to Ramrod Key where we are currently staying at another long time charter captain friend from Indian River, DE who owns the house but still resides full time up north, so we will be living good for the next few weeks with not only his beautiful house but he has a Hyrosport center consoles sitting on a lift in his back yard (on a canal) for our us to use whenever we desire! 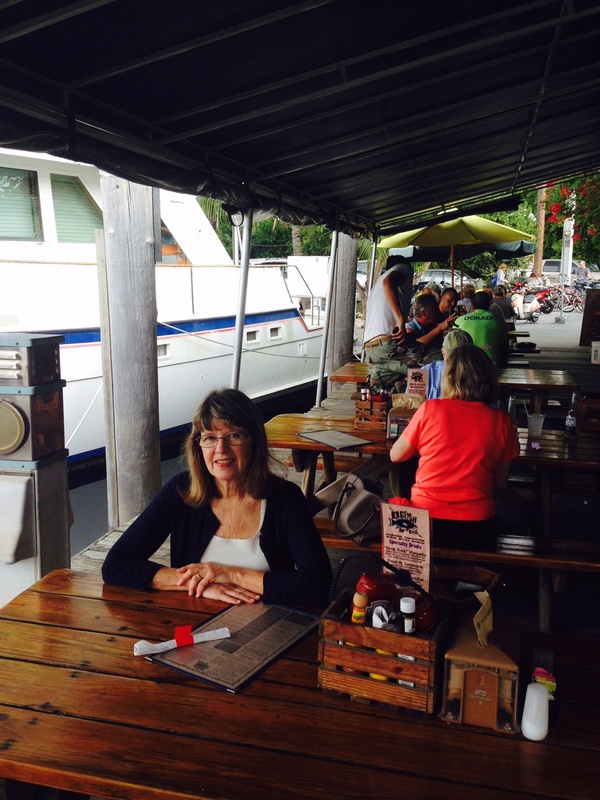 Today we went to Hogfish Restaurant for lunch on Stork Island in Key West and I was able visit some with a group getting ready to depart on the Yankee Clipper. That sure looked like it would be a great trip for all involved. I took a few quick pictures before the boat departed but being able to walk around and talk to a few of the anglers was really what I enjoyed most. 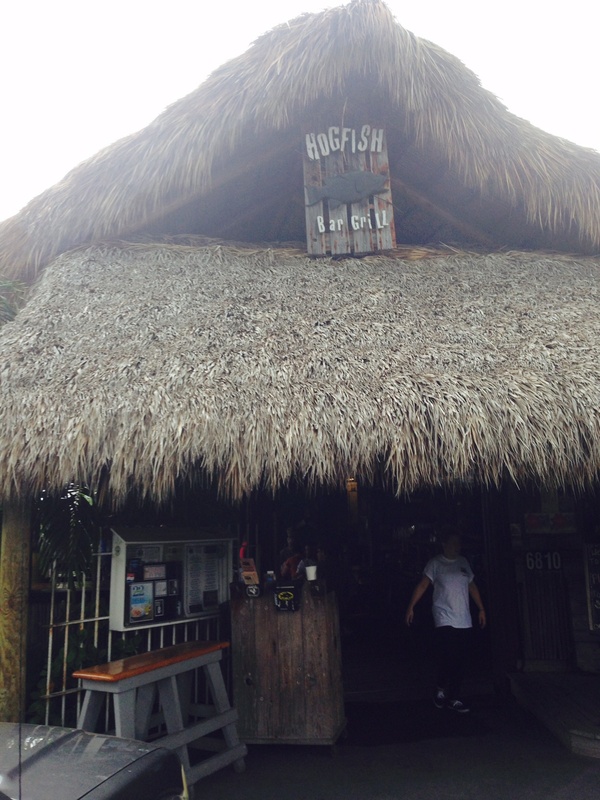 The lunch was great also as my wife had Hogfish Tacos and I had Grouper sliders. 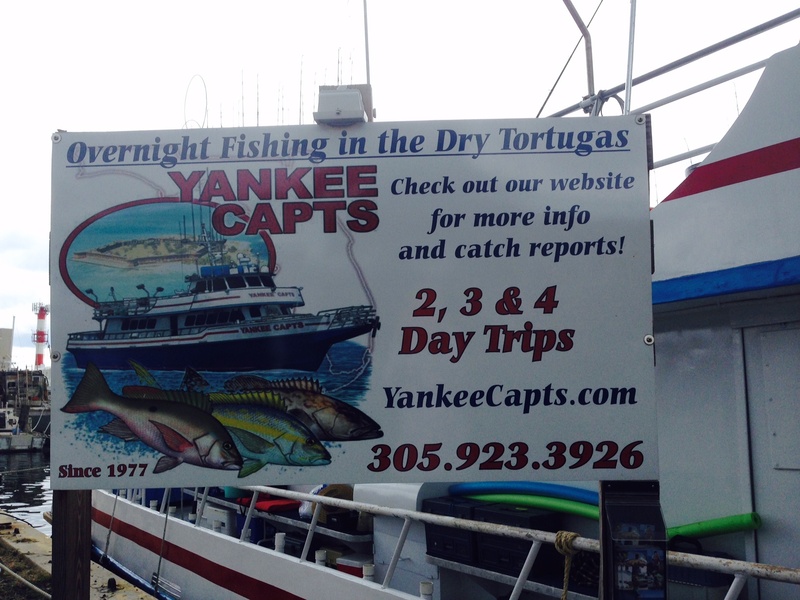 The Hogfish Restaurant sits right next to the Yankee Clipper and is well worth stopping for a drink or food prior to or after your trip on the Yankee Clipper. The rest of the day we played the role of tourist and hit all the traditional watering holes Key West is famous for and before eventually heading back to Ramrod Key. Ramrod Key is about is 45 minutes north of Key West. We finished our day by stopping by the local gym in Pine Key and signed up for a couple of weeks of gym membership so we do not get totally out of shape while down here. We have numerous friends coming down starting this weekend and next week and once they arrive we plan to turn our attention to doing some fishing for a couple of weeks. 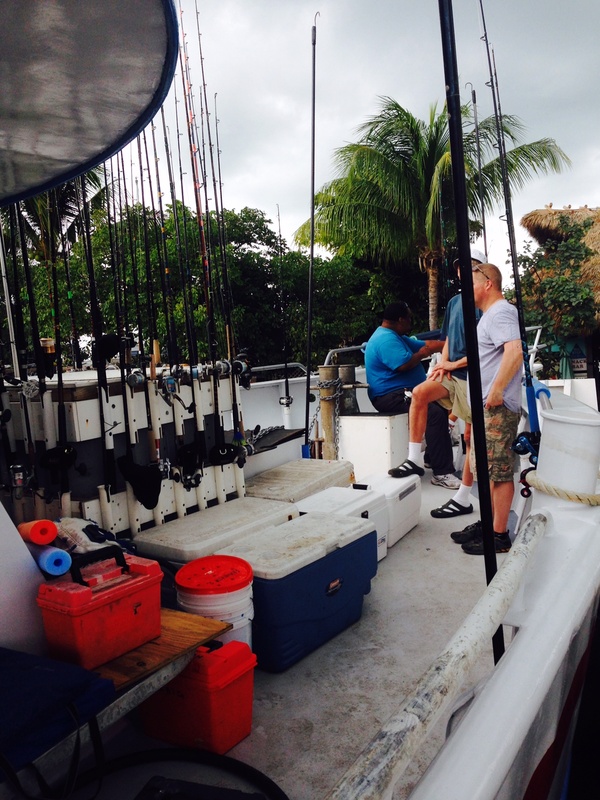 One of the best offshore sea bass trips on the 55 Hooked Up II to end the 2014 season.